Comments: A fine half-folio view of the Baalbec ruins from the southeast. 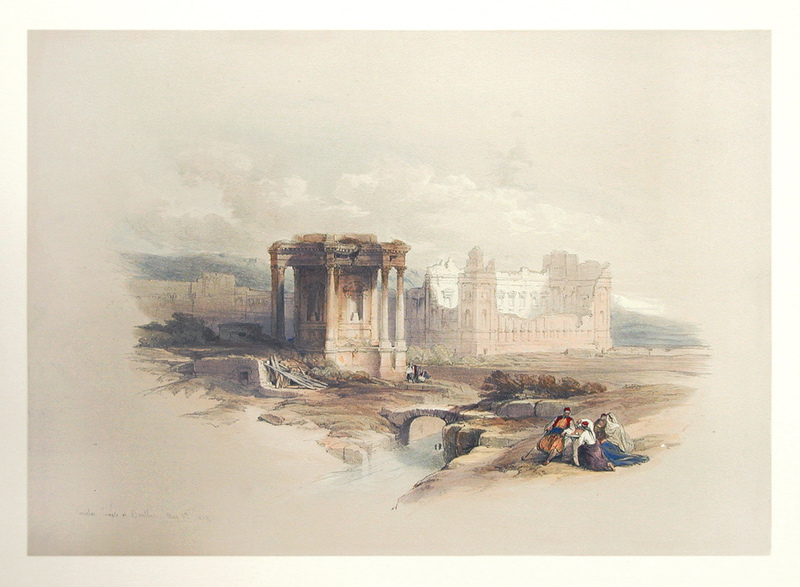 This lithograph shows the most detail of the main temple exterior of any of the Baalbec prints. Condition: Excellent. Text below image and on verso. Paper: 23 3/4" x 13 5/8"
Image: 9 5/8" x 13 1/2"